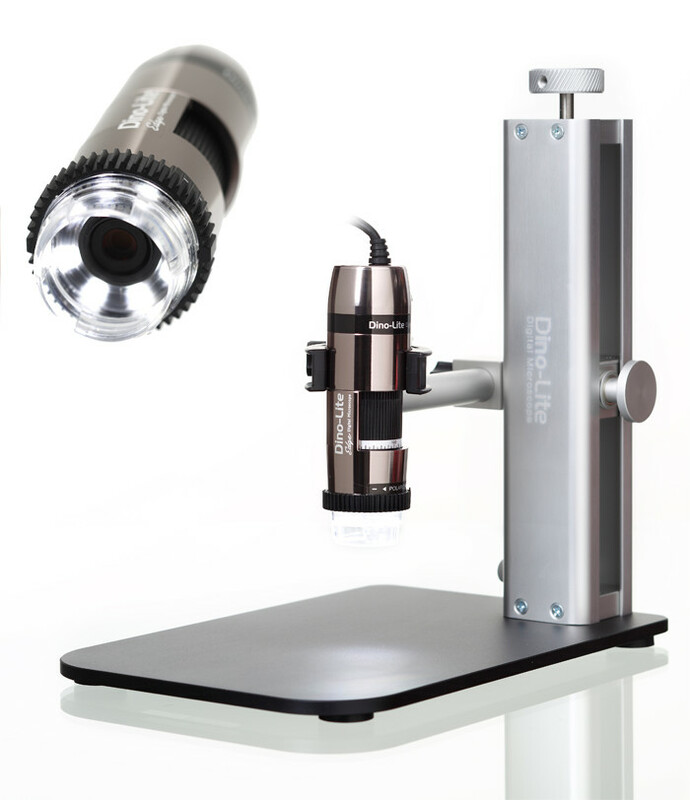 The LPT-B bench magnifier has a integral steel baseplate as an alternative to the LPT model which has a table clamp. Designed for every day use in commerce and industry, this robust magnifier is an excellent working aid. The all-metal surface is easy to disinfect and withstand even heavy loads. The middle and bottom joints can be arrested with sturdy hex. head bolts to hold the magnifier head steadily and securely for long periods. The heavy steel baseplate ensures secure positioning of the magnifier. These bench magnifiers are distinguished by their very large white glass lens, which is resistant to scratching and solvents. The extension arm can be either set up in the middle or placed towards the back. We use UV-absorbing crown glass, such as is used for production of corrective eye glasses (refraction index n= 1.52). The excellent quality of the silicate glass lenses makes these lamp magnifiers a standard testing instrument in all types of workshops. The well-dimensioned annular light provides excellent surface illumination without shadows. (CE, ROHS compliant).